Credit must go to the Proteas for keeping their heads and fighting till the end – the win would also benefit them in the psychological game between these two sides on and off the field. Johan Botha and new boy Marchant de Lange were brilliant. We can take a lot of heart from this series win in terms of the future of the Proteas cricket. For the moment though it’s the Protea’s – 1, Black Caps 0. Roll on, the ODI’s. 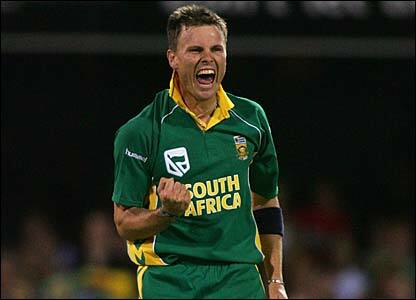 The return of Kallis, Smith, du Plessis and Steyn will definitely strengthen the Proteas. A few eyebrows might have been raised at the announcement that Levi would return home after many calls were made for him to stay on the tour as a result of his awesome display in the 2nd T20. I can only assume that this is a calculated move by the selectors and Kirsten to nurture his talent and in some way to protect the individual from the pressures and demands until he is ready. Can you think of the chaos raging in India with IPL franchises falling over their feet in an attempt to sign him up? Levi is often compared to David Warner of Australia. Cricket Australia managed him perfectly after his initial success – not only is he one of the highest paid players in the world today but he has also developed into a test player and has been touted for future captaincy. So I guess although the decision about Levi might not make sense for some at the moment, there is method behind the madness. 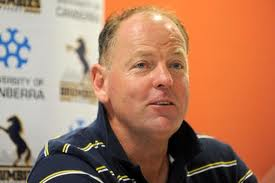 In other news: Australian selectors have been slated for the disgraceful axing of Ponting from the One Day setup. Personally I would rather play against Australia without Ponting than with him. The English replied suitably to hosts Pakistan in their ODI’s series by returning the favour of white washing their hosts in ODI series 4 – 0. Notably it was Captain Cook and KP who each scored two tons which enabled them to win the series. All those who participate in Superbru will know just how difficult it is to make accurate predictions at the start of the competition. I am not talking about the points difference here, I am referring to who will win. Despite warm-up matches, early games are notoriously full of mistakes. Getting to know how the referees will blow is another factor that some teams adapt to much faster than others. There is also the absence of key players due to injury, and the presence of new players, yet untested, who may have a major impact on results. With that range of disclaimers firmly in place, herewith my view of the pick of the weekend’s rugby. The Crusaders are notoriously slow out of the blocks, and without Captain McCaw, I tend to think that the Blues, at home, may just spring a surprise and take this one. The Crusaders have lots of big names, even on the bench (Corey Flynn and Owen Franks). If the game is decided up front, the Crusaders appear to have the players to dominate, and the Blues will miss Tony Woodcock in this clash of the titans. The Blues have their fiery captain, Keven Mealamu, to lead by example, but will the Crusaders be the same force with both Carter and McCaw missing? Tough call. My gut feeling says no, not yet, which is why I go for the Blues, at home. Interestingly, the Crusaders team include four Whitelock brothers – Samuel, Luke, George and Adam. This sounds almost Biblical. Are they trying to out-Jones Wales? Jake White’s comeback as coach will be of more interest to local fans than who wins this one. If it follows the same pattern as with the Boks, he will struggle initially to instill his own game plan. Will he employ an expansive approach with the exciting prospects at his disposal, or will he follow a skop skiet en donner approach? This is certainly the local match of the weekend. Pundits count the Sharks and Stormers as the SA teams most likely to get to the semi-finals, but when the Bulls and the Sharks clash horns, it is with serious intent. With the Bulls playing at home (and therefore not in the vilified pink strip), you cannot count them out until the final whistle is blown. The Sharks looked sharp in their warm up matches, but have some chinks in their armour, especially up front. Do not think that this was not spotted by the Bulls analytics. It will be capatalised on. Could be a good indicator of where the real strength of Aussie rugby lies. If the Stormers do not win this convincingly, it could do serious damage to their mindset for the series. I am just praying that their voodoo from last year, scoring four tries for the bonus point, does not hex them to the same extent this year. Bryan Habana and Conrad Smith at centre should be an absorbing duel. The Free State team should win this one, but that was what we said about the Sharks in last year’s Currie Cup final, too. John Mitchell’s troops must show that they are able to overcome the challenge of stepping up to this level. Tomorrow is an excellent opportunity to do so. Vrydag begin die Super Rugby reeks van 2012. Tydens hierdie belangrike gebeurtenis is daar ‘n paar dinge wat nie-rugby-kykendes moet weet en verstaan. Baie mooi verstaan. 1. As jy ‘n Mmmmmm hoor na ‘n vraag wat jy gevra het, beteken dit – gaan, geniet dit. Moenie die kar stamp nie en moenie meer as R500 spandeer nie. Maak gou. Bring klam biltong met ‘n vetjie, tesame met 12 koue biere, ‘n pak chips, rump steak, wors(bykos), skaaptjops(bykos) en charcoal. 2. Skuif vroegtydig die meubels sodat jy glad nie tussen die rugby-kenner en die TV stel verby beweeg nie. Om dit poedel-nakend kaal te doen gaan geen verskil maak nie. 3. Hou jou opruimende gedagtes vir na die wedstryd. 4. Halftyd, beseringstyd en tussen wedstryde is bedoel dat die kyker ‘n draai kan loop. Moenie dan kom onbenullige vrae vra soos: “Moet daar water by die ceiling uitdrip?” of “moet daar vlamme by die kar se dashboard uitkom?” nie. Los dit tot na die game. Baie dankie byvoorbaat vir julle samewerking. Ek is lief vir jou, jy lyk great in daai nuwe rok en nee, jou ma kan nie kom kuier nie. Sien jou weer raak in November as die rugby replays boring raak.